I strongly believe that there is something very sensual about watching a city wake up! Of course, that means you have to be comfortable with the idea of waking up well before sunrise. But, if you can, the experience is at the same time exhilarating and calming. Reason why I make it a point to always wake up early and go out for a walk( with my camera, of course) whenever I am in a new city. 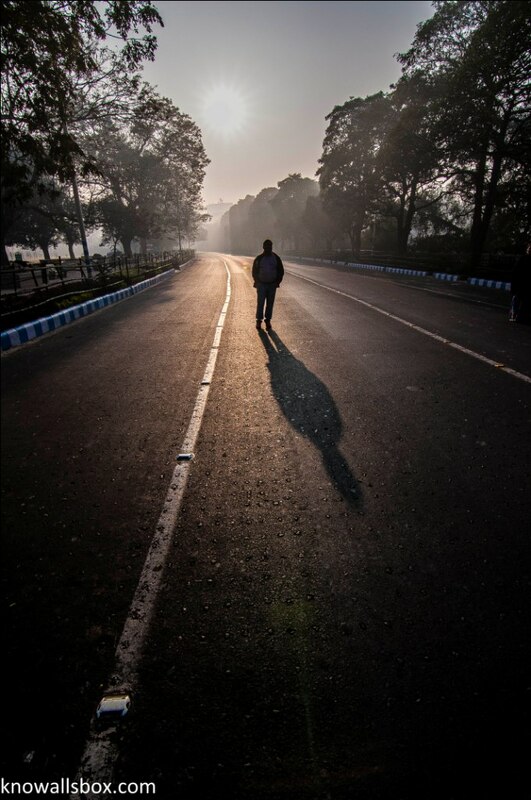 And that is what ensures that in spite of all the shortcomings of my hometown, Calcutta, every time I go for a walk at the crack of dawn, I fall in love with my city all over again, warts and all. 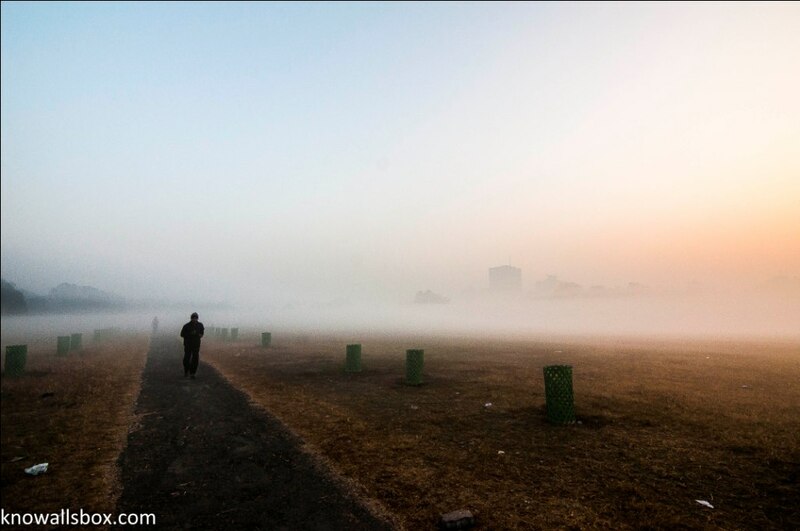 And to walk in the morning, especially in winter, The Maidan is one place in Calcutta, I never tire of visiting. It may seem surprising to many, considering it is, as the name clearly suggest, just an open field! But, it is a field which is teeming with life! Spread over more than 5 sq. 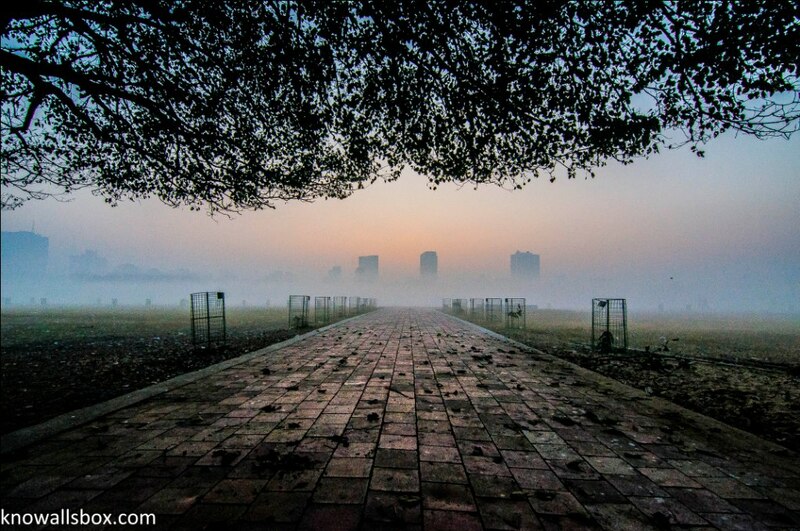 km, it is often called the lungs of Calcutta. Rumour has it, that the homesick British rulers created it to remind them of Hyde Park in London! It also houses some of the landmark architectures of the city, each of which is steeped in history. Consider this. 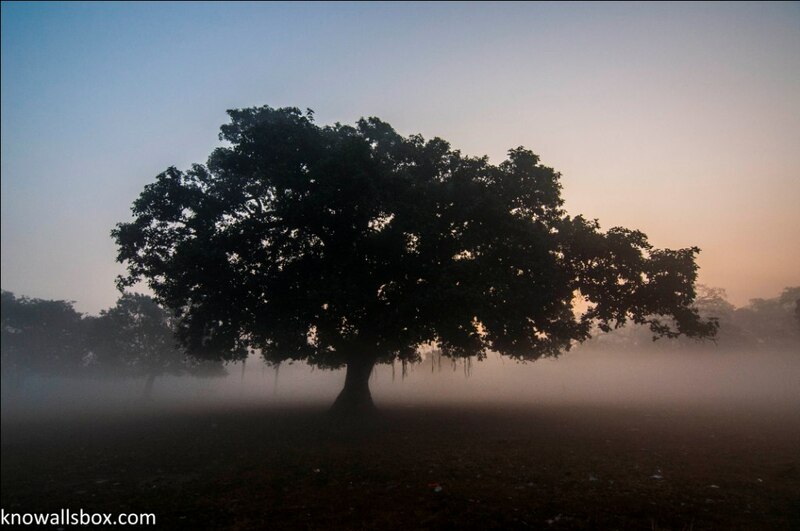 At one end of the Maidan, by the banks of the river Hooghly is Fort William built by the British in 1781. Raj Bhavan, which was built in 1820, used to be the official residence of the Viceroy of British India and now it is the Residence of the Governor of West Bengal. At another part, you have the Royal Calcutta Turf Club which was also opened way back in 1847. 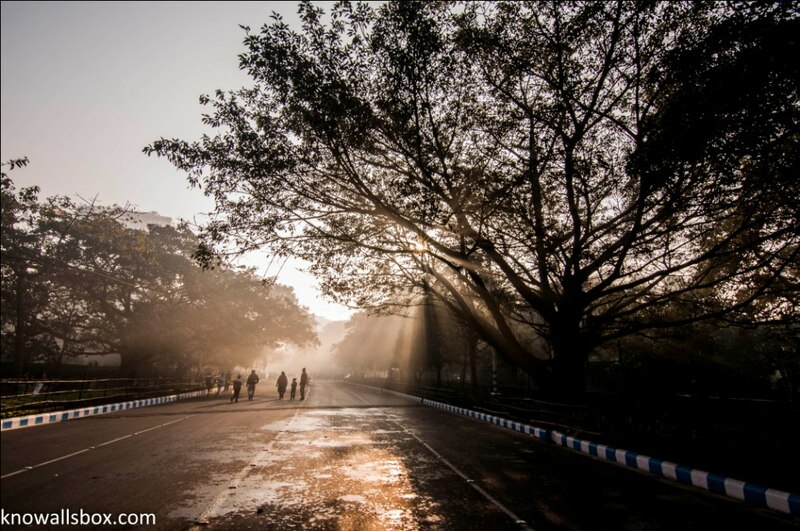 Walk across the road from the Race Course, and you reach Victoria Memorial, which I have covered in my previous post. 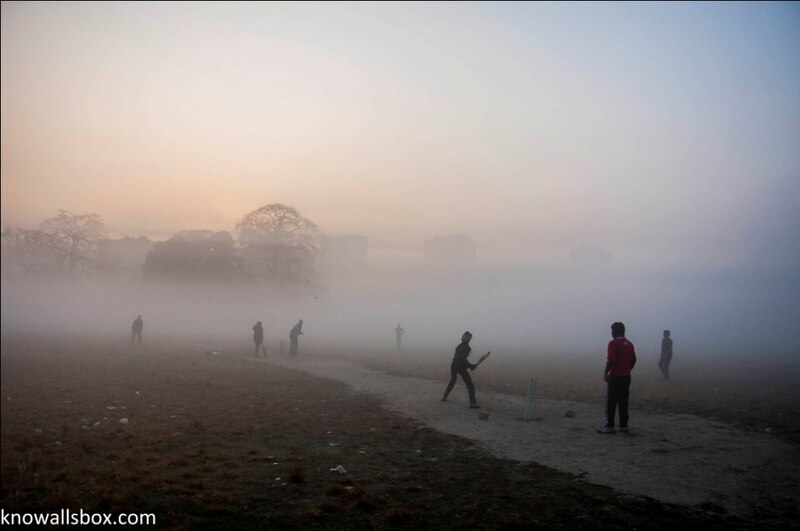 The Maidan is also host to many football stadiums and of course the Eden Gardens, one of the largest cricket stadiums in the world. And yet, I will show none of these landmarks (photographing some of which is not allowed). The part I enjoy the most is the vast expanse which is, well, just open field. 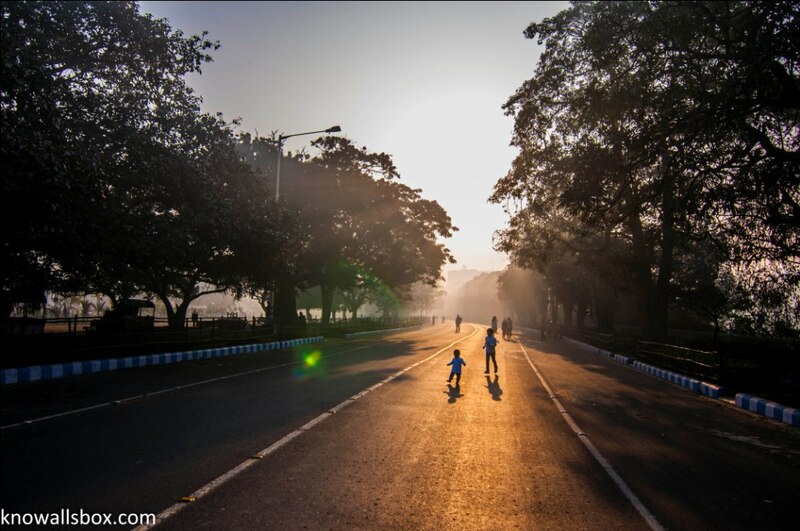 You can find morning walkers and joggers, kids playing football and cricket, tea-sellers, people cycling their way to work, tramcars trudging their way across, squirrels darting from one tree to another. I had first posted some photographs of the Maidan last year, in my second post, which you can check out here. I just love going back to this place. No wonder, this is the first topic which I am repeating in my blog. Lucky me to view your blog a second after you published it! 🙂 You have described the Maidan very well, almost poetic, and the photos are phenomenal! 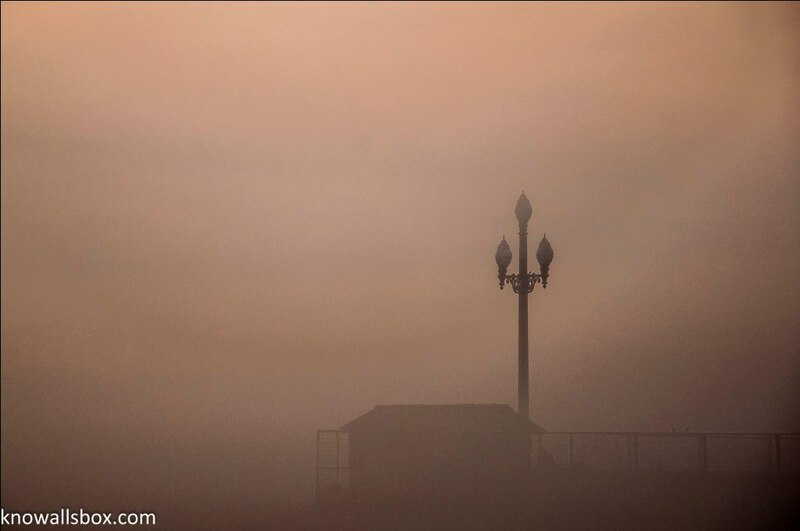 Very moody photos with the morning fog. 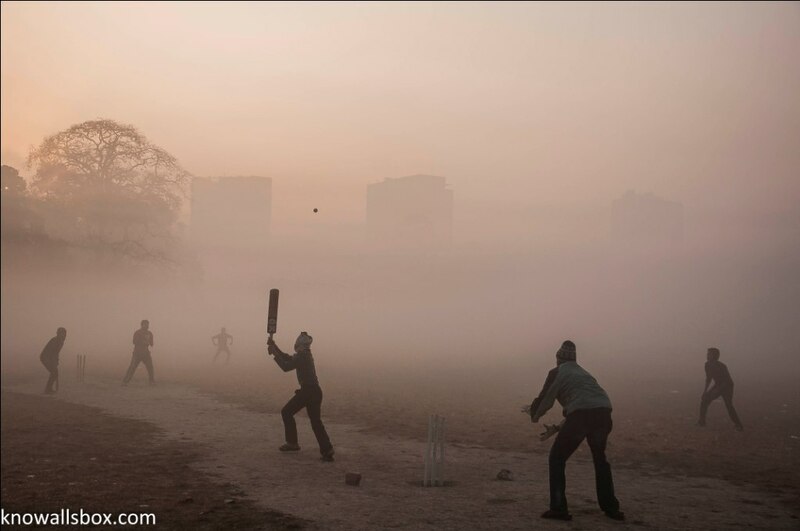 The cricket photos reminds me of getting up early and playing cricket in Chandigarh. I like the colour profile on your photos. All the pictures are incredible but I think I love the one with kids running in the sun shine most! Thank you Anna! 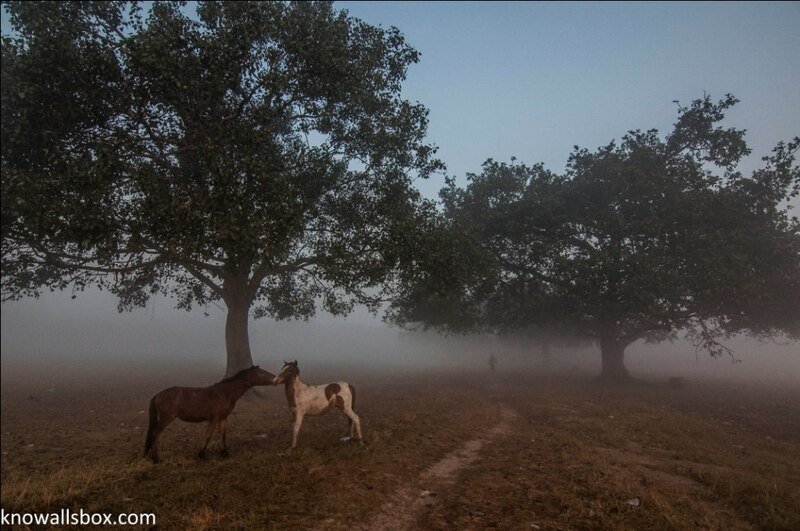 The horses in the fog had a surreal feel to them! Thanks for stopping by! Very interesting and very nicely written. 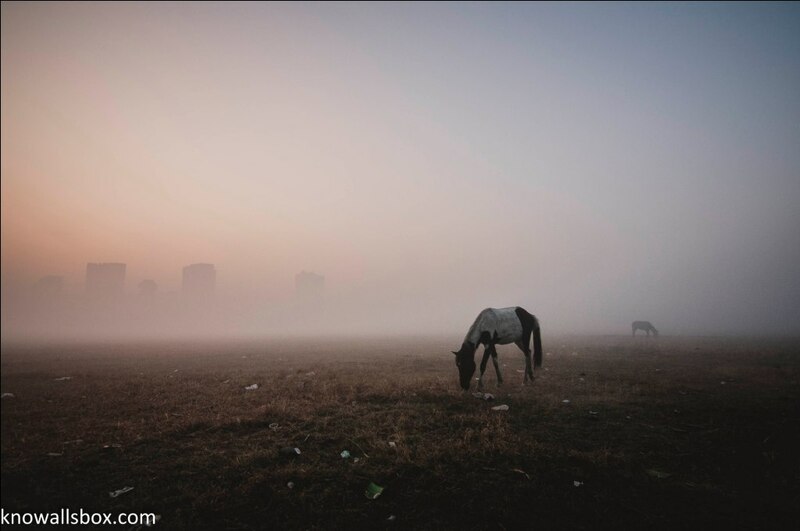 I am partial to animals so my favourites are the horses kissing and a photo of a single horse. How far did you have to drive? Wow, these are stunning images. Enjoy reading your blog and what lovely pictures! BEAUTIFUL! 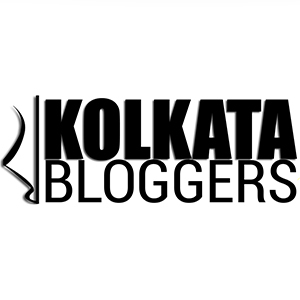 Calcutta is so rich in history and culture and literature. Phew.. would love to visit sometime. Lovely. I can almost feel the crisp morning air.